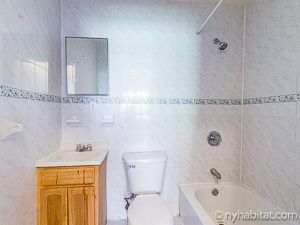 This is our reference NY-17272. 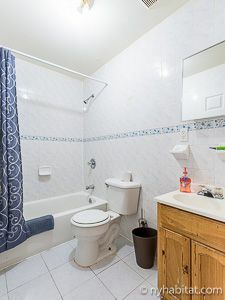 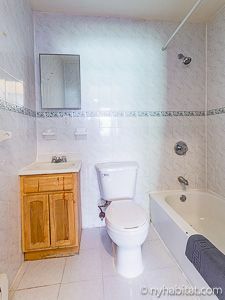 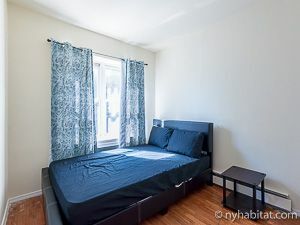 Welcome to this fully furnished three bedroom apartment in New York City. 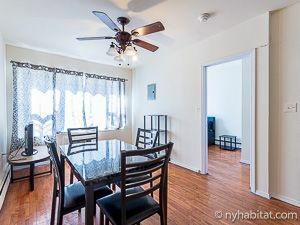 Located on the 2nd floor walk-up (considered 1st floor in Europe) of a Bedford-Stuyvesant townhouse, you will find it in the borough of Brooklyn, at the corner of Herkimer Street and Albany Avenue. 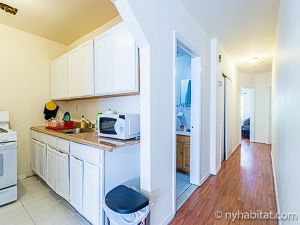 Upon entering this apartment, find a living room furnished with a dining table and a flat-screen television. 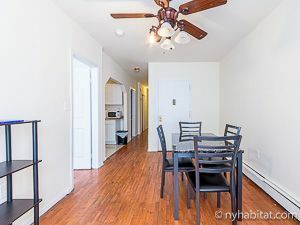 The apartment features hardwood floors throughout and plenty of natural light. 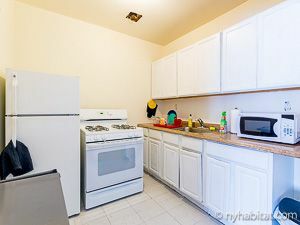 In the corner, an open-style kitchen features all the necessary cookware and dishware. 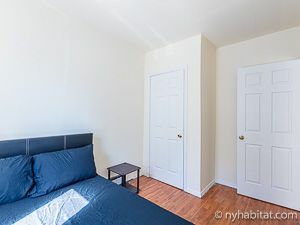 Bedroom 3 is located directly next to the living room and Bedroom 1 and 2 are found down the hall. 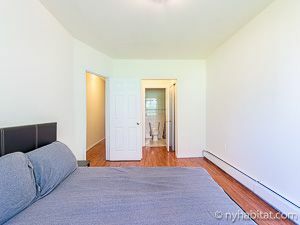 All three rooms feature closets for storage space. 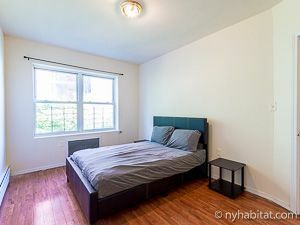 Bedroom 1 and 3 offer a double-sized bed and a shared bathroom. 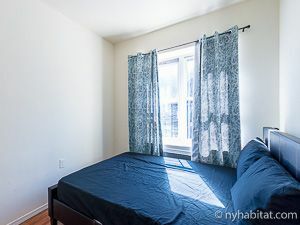 Bedroom 2, the master bedroom, offers a single-sized bed and access to a private bathroom.